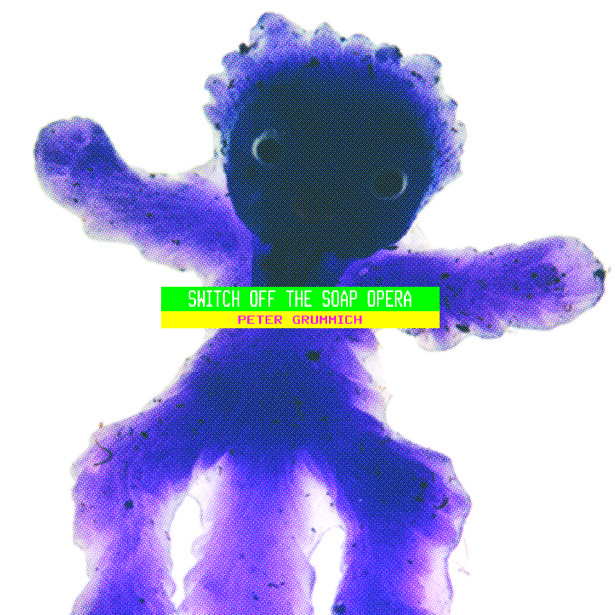 Whoever believes that all of Germany has sworn off minimal techno, since all that you hear are bombastic outfits with noise, shouts, cuts, ammo and at least one obligatory guitar riff, should hear Peter Grummich's new album "Switch Off The Soap Opera". He knows the power of greediness all to well as an adamant minimalist and has thus spared even covering his body, having been spotted at Berlin's Panorama Bar in his undies. It's obvious that he's pulling his zipper up and down in a well-greased manner as you can hear on "Orange Moon." Grummich looks a lot like someone who is concealing a shoddy rave monster that crept into him the past decade or so. He likes to wade barefoot in the bass since his is cushioned quite well and is nice on your skin, three or four layers as it is. Grummich trips rather seldom, instead he varies in dance-like tiptoe steps steady paced. If he loses his tact the robots are likely to be blamed, showing us that he doesn't lack humor as minimal musicians often like to make us believe. He could of succeeded as a carnie hypnotist with those eyes of his; instead he gazes deeply into the soul of his tracks until they are graced with the hypnotic spark that emanates from his ear. This happens when the layers find their synapse equilibrium in loops, which shouldn't be all too innocent for the brain with those big waves set in motion. The setting is a bit stuffy since there are a lot of danceable sounds putting the room under pressure, but hey at least it's never cold. Airing out only occurs when the party is had, which surely comes from the true minimal jump-off of this sort. subsidiary Spectral from Detroit, where he's listed as the only German artist. Grummich is a pro in his own right. He knows the music biz like the back of his hand and his first single was Billy Jean from Michael Jackson. He of course didn't make that one himself, just bought it as he fully admits. Honesty this bare is rewarded because Grummich is luminary and old fart on the decks, and he will no doubt celebrate his 20 year DJ anniversary next year. Congrats!